FOR YOUR EXCLUSIVE USE…OR JUST A ROOM…. Just inside the Medina Walls of the Imperial Kasbah. 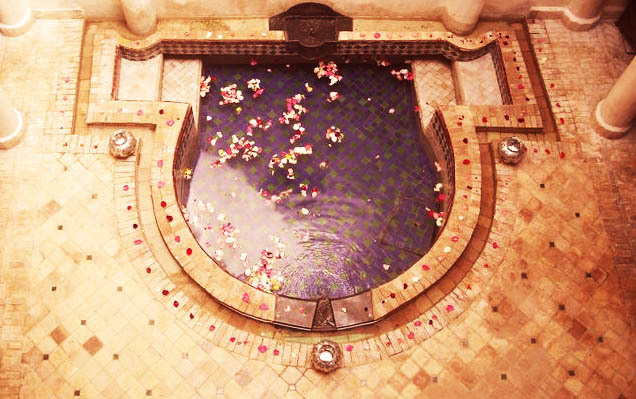 You’ll discover a quiet haven, exclusively yours, to relax & absorb the mystique that is Marrakech. 5 Bedrooms each with en-suite, Maid, splash-pool, B&B, £60 per/room/night for Individual, Non Exclusive Use bookings, (or agreed on min 2 room occupancy to enjoy Exclusive Use). 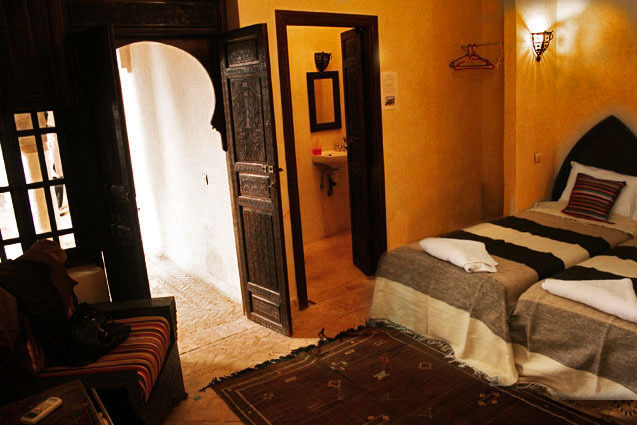 Riad Laksiba can cater for TWIN or DOUBLE bedrooms, simply tell us your preference before you arrive. 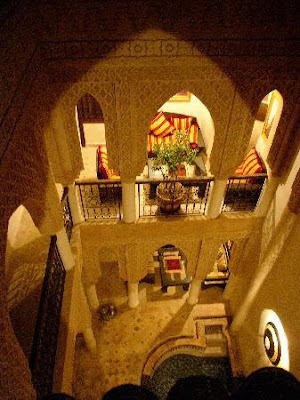 Riad Laksiba is an enchanting destination for a holiday. Why stay in a hotel when you can enjoy your own special accommodation with family and friends. You will have a devoted taxi driver and Tour Guide at your disposal, who you pay direct for your trips & excursions, and a maid to organise your Moroccan breakfast, make your beds and tidy up behind you when you leap out of the ” splash-pool ” and go off exploring. 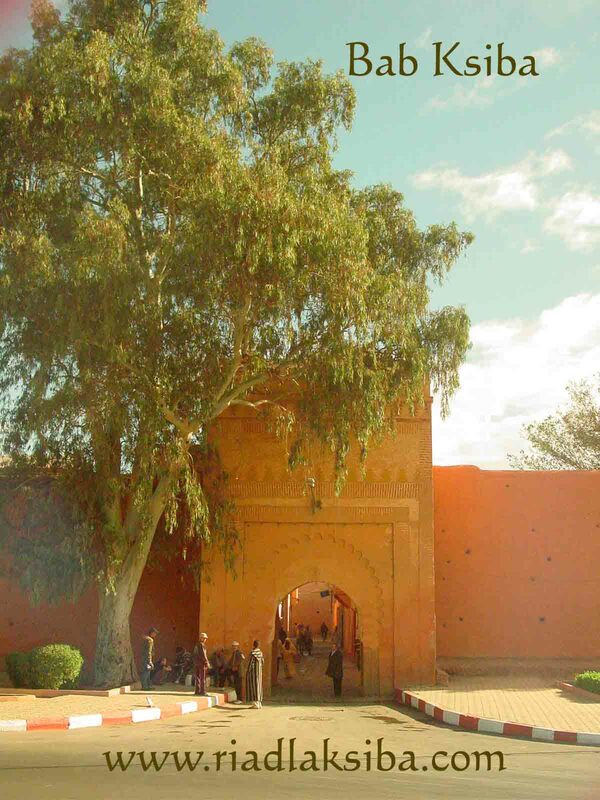 Marrakech is a special place to stay and can feel even more special dependant on your choice of venue. 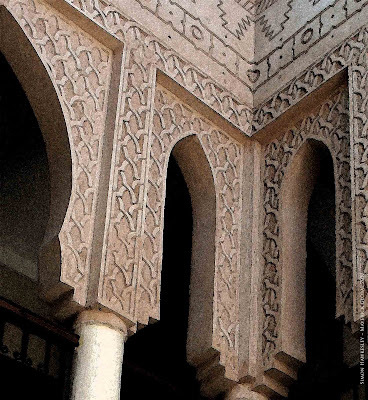 The Kasbah is a quality Old Medina location offering easy access to anywhere around Marrakech. Many of the hotels , Marrakesh, are in isolation which can be tiersome when you want to explore and expensive if you become reliant on hotel transport. 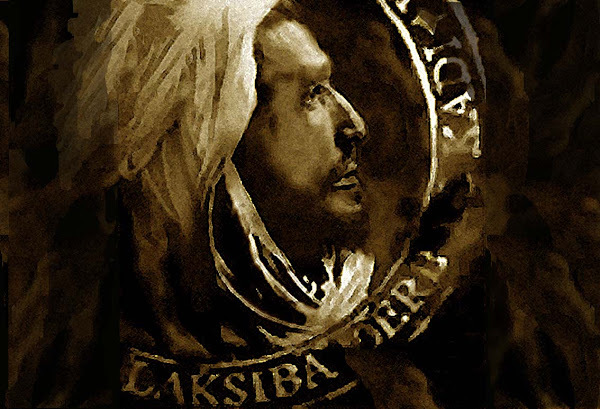 Riad Laksiba is within 45 seconds walk to the ancient ramparts walls through the quiet Bab Ksiba entrance. Opposite Bab Ksiba you will find secure parking for your car. Bab Ksiba is also a perfect destination to flag down a local taxi. Likewise the perfect “compass bearing” for instructing a taxi driver as to where you want to be dropped off. Having a Ryad for sole occupancy gives you choice and freedom of movement around Marrakesh. No fixed breakfast times, no doors locked by a certain time at night. You could choose to be self-catering but we recommend you elect discover the fabulous local cafes and world class restaurants, who can accommodate all tastes and budgets. The ability to come and go as you please. 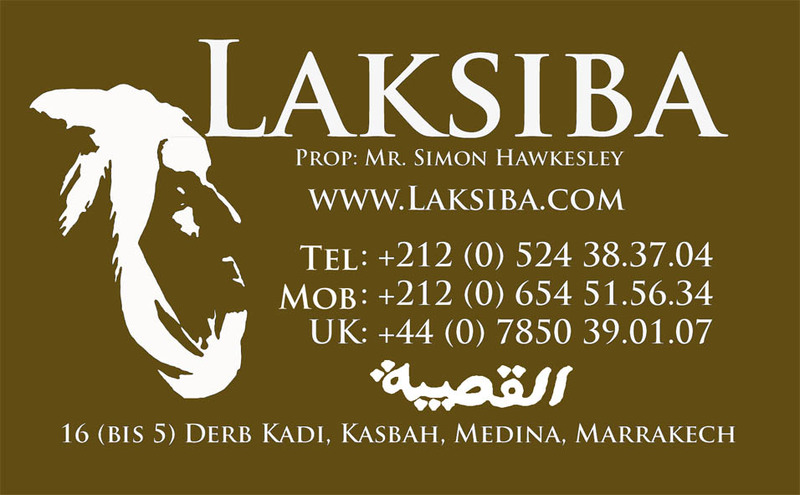 Treat Riad Laksiba as your own home during your stay in Marrakech.